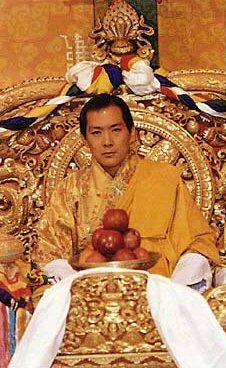 The country was going through turmoil with the cloak of grievances looming over the nation with untimely demise of the third king, His Majesty Jigme Dorji Wangchuk, the young prince, then just 17 was to ascend to the golden throne forgetting that he is just a boy who would love but to grow up by enjoying his teenage. After two years, he was officially crowned as the fourth king of Bhutan. 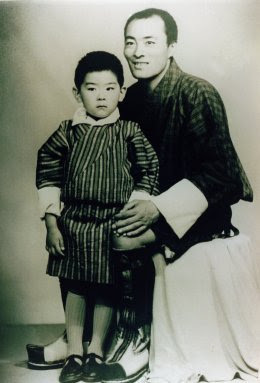 The youngest monarch in the world then was indeed entrusted with many responsibilities most of which can often be credited as the vision of our father of modern Bhutan, the third king. 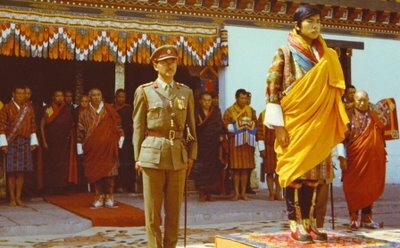 And much to the contrary, the niche of our young king was filled but with very few educated officials then to the huge task of taking Bhutan ahead. However, during the reign of 34 years as the king of Bhutan, His Majesty Jigme Singye Wangchuk proved blessing to the people of Bhutan. His legacies echo through the history of Bhutan’s development from an isolated Buddhist kingdom to a peaceful and developing Himalayan kingdom. His vision translated into an unprecedented happiness and socio-economic prosperity. While maintaining a conservative cultural values and tradition, Bhutan emerged to the forefront of the world as exemplary and a proud nation of measuring country’s wealth on the basis of country’s happiness. It was always the people who mattered and often in His Majesty’s words, the well being of country’s people and active participation of people were always heard. Today, Gross National Happiness has stretched its importance even inside the power of United Nation that UN unanimously accepted the concept as the millennium goal. And to be the loving citizen of the architect behind such visions which is embarking onto change the history of world, can there be any reason more to feel proud of. He is popular today around the world for bringing about so many reforms in the country including his own abdication of throne in favour of his own son and of course introducing the constitutional democracy in the country much against the wishes of the people who wanted the absolute monarchy to continue flourishing. 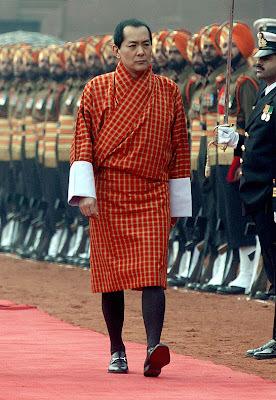 2008 saw the first elected country’s government, and king with his son, the present king of Bhutan, Jigme Khesar Namgyal Wangchuk guided throughout the changes. While in some countries around the world, peace of people is torn apart by the fights amongst the power mongers, we have here the kings who share their powers with the people. Same year, for the first time in the history of Bhutan, the king crowned another king. And on 11th November, 2011, our beloved Father, His Majesty celebrates 56th birth anniversary. Let’s join the people, government, monastic schools and the nation in offering prayers and wishes for the long and peaceful life of our monarch. Let us all pray that our beloved king continue guiding the country, people and the king prosperously and peacefully.